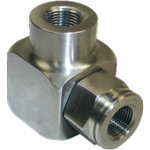 Swivels are available in numerous configurations, size, seal, and material options including custom design and manufacture. 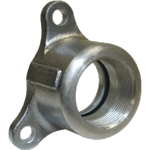 Please contact us with your requirments and we will work with you to fulfill those needs. 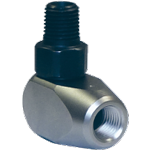 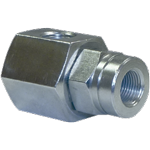 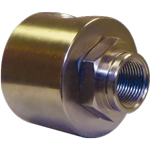 Configured in a 90 degree fluid path with 1/4” ports, melonized steel swivels are used for hydraulic applications. 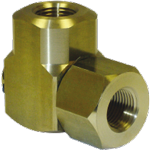 Working pressure up to 700 BAR & -5°F to 200°C*.